Where are we? And most importantly, who are we? These are the questions raised by Kuwaiti artist of Palestinian origin Basma Al Sharif in her solo show at Galerie Imane Fares in Paris. Alluding to the concept of physical resemblance, the exhibition titled Doppelganging also explores the idea of bilocation – the ability of being in multiple places at the same time. This notion first transpires through exotic greenery, with plants and an artificial turf paving the gallery’ floor and creating a place within a place. An allegory of balance and harmony, the incongruous setting hosts an assemblage of works translating many different narratives. Some of them, like The Story of Milk and Honey photography series, are exempt of time / space stamps, incomplete or partially erased. The anonymous faces appearing in them are never fully visible. They could be anyone, anywhere, at any given time. 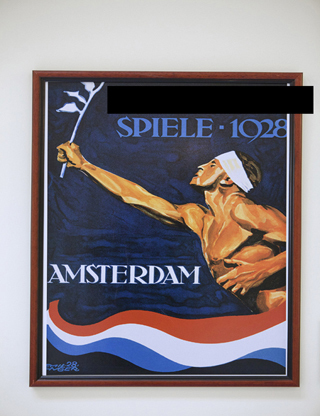 Other works, like the Olympic Games posters part of the Girls Only series, are replete with allusions to patriotism and homeland. Although referring to particular dates and places, they make our minds wander to our own ideas of native land. This subtle transfer process, encouraged by fragmented information, reinforces Al Sharif’s intent – based on who we are, our perceptions of time and space, and interpretations thereof, are variable. 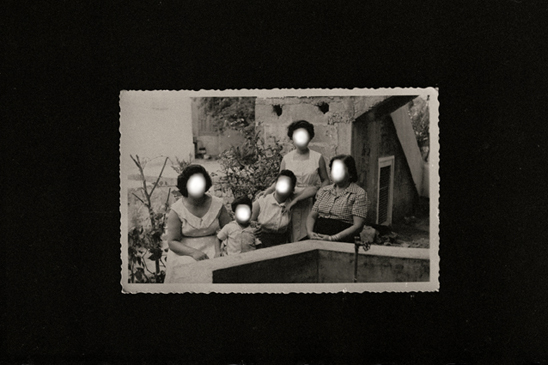 In Deep Sleep, a performance video featuring Al Sharif under self-hypnosis, the idea of time and space traveling is paired with corporeal transfer, as the artist’s image is superimposed with her double self, strolling around ancient and modern ruins. The possibilities of shifts her works evoke seem like a comforting alternative to Al Sharif’s own inability to travel to what she calls the “promised land” – Palestine. In a way, this exploration of dual realities, whether corporeal or related to time and space, sets her free. 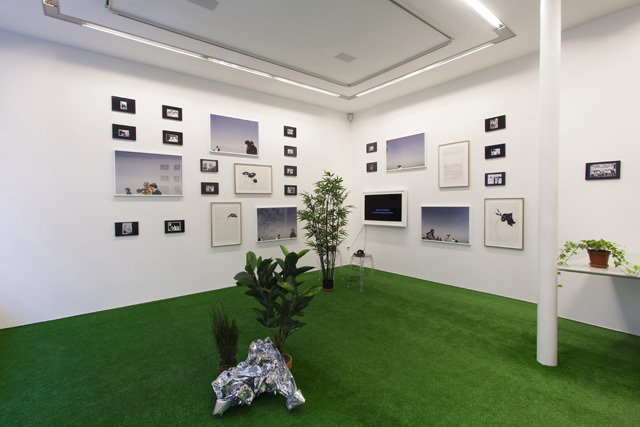 Doppelganging runs at Galerie Imane Fares till 31 July.